2000 2-Stroke Engine: The value-focused 565cc, 2-stroke, fan-cooled, carbureted engine is powerful, durable and efficient. Push-button engine reverse is a favorite in the utility segment. This engine is revered around the world for its simplicity and dependability. 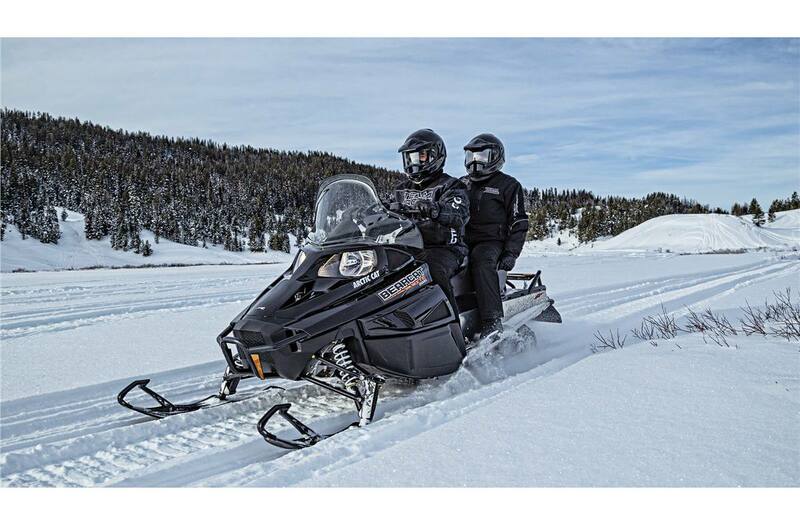 ACT Diamond Direct Drive with Arctic Cat Clutches: The ride-proven ACT Diamond Direct Drive planetary gearcase produces efficient transfer of power from engine to track, delivering a smooth ride. The Arctic Cat® clutch system engages at lower RPMs without sacrificing top speed. AWS VII Front Suspension: Arctic Cat’s legendary AWS™ VII front suspension utilizes strong, durable A-arms, providing great handling and cornering. Arctic Cat® twin tube Shocks provide a smooth ride, mile after mile. Articulating Rear Suspension: The skid frame gives you the option to choose an articulating or straight-rail frame setup. Loosen the springs for full articulating motion. Or tighten the springs to create a straight-rail suspension. Underseat Storage: With your Bearcat®, you have plenty of space under the seat to store things you need for the ride, ice fishing expedition or workday. Pivot Tow Hitch: The tow ring configuration secures a hook to that loaded sled or fish house. Digital Analog Gauge: Choose between digital and analog speed, and tachometer readouts. There’s also an odometer, two trip meters, engine hour meter, reverse indicator, optional altimeter and warning lights. Tunnel Rails: The tunnel rails on the Bearcat® allow you to remove the passenger seat or add a third seat with ease in a matter of seconds. Heavy-Duty Front and Rear Bumpers: Work hard, ride hard. 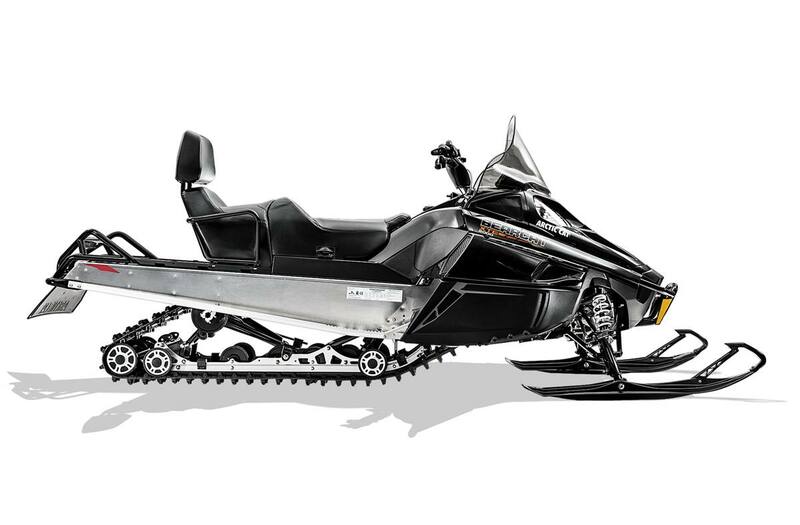 Heavy-duty front and rear bumpers protect your sled and help you get the job done. Passenger Seat: Need more room for gear? The passenger seat removes easily with the flip of two levers. 16" High-Height Windshield: This mid-height windshield is a perfect mix of protection and comfort. Ski Type / Width: Wide - 8 in.